Go from single to everlasting love. We all want that feeling of being truly open to find and receive the love we deserve. For centuries, we have tried to use our human antidotes to release us from our problems that lack of self-love creates. How has that been working for you? Not so good, right? You were born on this earth full of this glorious clean and pure energy. But, daily life, heartbreak and experiences have slowly bogged you down with negative feelings, beliefs and patterns. It takes time to release years of pent up emotions and tangled intent. Why? Because you have been turning to your old mind for answers. As your human self, you could not possibly attempt to rehabilitate your various problems, but your Higher Self, or I Am Presence, can. Raising your deep and sincere attention to that Presence, and making it feel you are ready and willing to work consciously with it again, is key for success in love. How do you find the right path to clear yourself of the muck? Today is your lucky day! 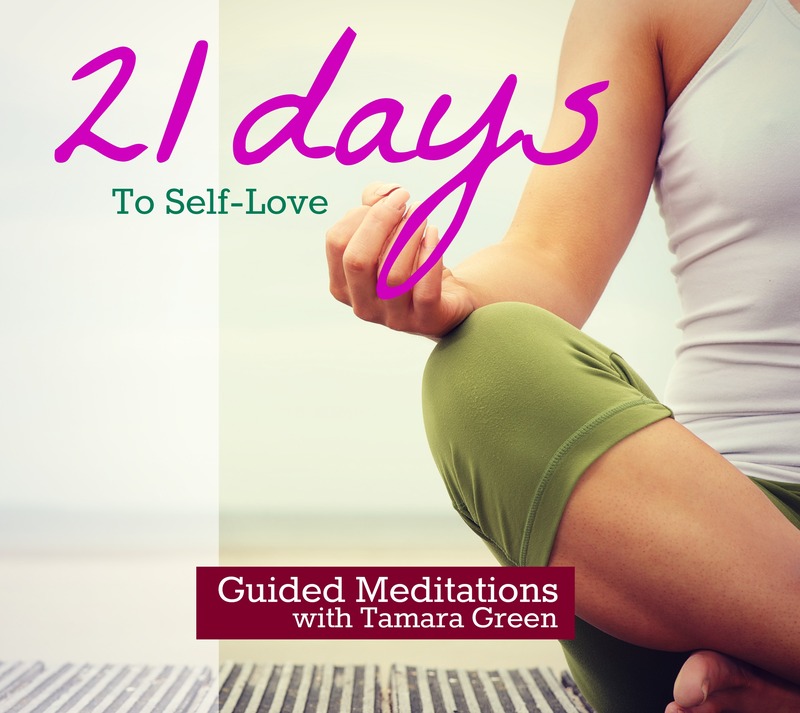 You may have already heard that my 21 Days to Self-Love Meditation Experience just ended… and now the entire bundle of 21 guided meditations is available in my shop for purchase! Travel the path to self-love and healing when you listen to all 21 of these beautifully crafted meditations PLUS a bonus meditation. Tamara set up the sequence specifically to take you through a transformative experience. With this bundle, you will have an all access pass to the meditation page where you will have 24/7 access to all of the audios and download or listen to them as you wish. What are you waiting for? Listen now! The sequence of the 21 days was strategically planned to take you on the right path to incrementally release those negative emotions (heartbreak, insecurity, body image issues, etc. ), tune you in to your own highest guidance and to rebuild the truth of YOU that awaits within. There is no shortcut to a happy and healthy life! Check out the 21 Days to Self-Love Bundle in my shop and start your journey. These meditations are anywhere from 9-23 minutes in length and will offer you a transformative experience, but only if you commit to the full program of 3 weeks of daily meditations. As a bonus to my wonderful readers, enjoy this meditation that I offer in the bundle. In this audio, you will first hear about the 8 Keys for a Successful Self-Love Meditation Experience. Then you will begin to stop self-sabotaging behaviors with a powerful meditation titled, Kick Self-Sabatage Out Of Your Life. Don’t hit that wall and quit! Listen to the bonus keys and meditation now, then purchase the 21 Days to Self-Love Bundle in my Shop Page. As ANOTHER way to help you succeed in any meditation practice, here are my Meditation Tips For Beginners. Enjoy! Start with guided meditations (I recommend about 20 minutes per day, every day). If you are trying to work through a specific problem (i.e., self-esteem, relationship, health), then it takes anywhere from 21 to 30 days of daily meditation to begin to experience true results. Thoughts wander like crazy for beginners, so it’s helpful to give your stinking thinking brain a job, such as following a guided meditation. The brain needs a job to keep it out of the your way to what you are trying to achieve (a quiet mind or neutral state). Become the observer and the witness of your thoughts during meditation. In other words, as if you are a scientist who is collecting data for research, notice YOU having a thought, DON’T JUDGE IT, then consciously decide to go back into the guided meditation (into the neutral state). Be patient with yourself, be light and even laugh at yourself at having thoughts, feelings and emotions that come up during meditation. Everyone, and I mean everyone, has plenty of thoughts, feelings and emotions during the beginning practice of meditation. It’s normal, normal, normal. Be grateful that you are motivated, even excited, to embark on a life transformative experience. DON’T GIVE UP!!! Keep going. You’ll hit road blocks, but stay disciplined and committed to the practice and you’ll work through them, and everything else in your life. You Give So Much! It’s Time To Give To You!